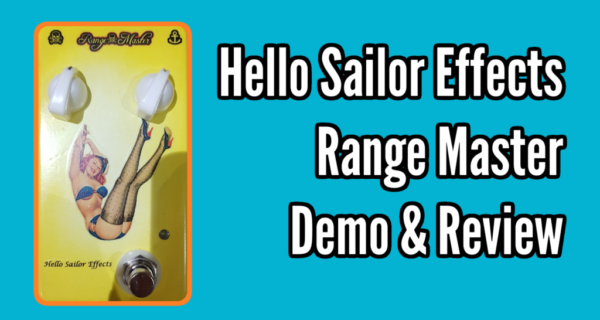 The Hello Sailor Effects Range Master. This bad boy is a version of the classic Range Master effect made famous by the likes of Eric Clapton and Richie Blackmore. This one is a hand made, point to point by Hello Sailor effects. It contains a 1987 Russian NOS Germanium transistor as well as a transformer to allow it to sit anywhere in your effects chain. A genius bit of design.